While many students have a desire to help solve global issues such as poverty, oftentimes real action is stifled because of the difficulty of figuring out where to begin. 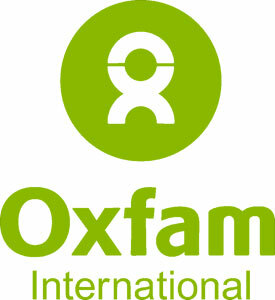 Organizations such as Oxfam make tackling these world-encompassing problems more accessible. “As students we know about hunger and poverty, but we can’t really experience it,” said third-year sociology major Veronika Libao, who started University of California, Santa Barbara’s Oxfam America club during fall quarter 2013. The UCSB club consists of about 15 members who meet every Thursday in various classrooms in the Student Resource Building (SRB). The club promotes itself via tabling and social media. Last quarter, the club worked with Habitat for Humanity to help build a small community of homes in downtown Santa Barbara, and they are currently finalizing plans for a Hunger Banquet. Although the FeelGood SB club at UCSB also put on a Hunger Banquet, the concept differs greatly from that of the UCSB Oxfam America’s club. The club has set a tentative date of Feb. 27 for their Hunger Banquet. They are seeking support from various academic departments by asking if they can offer extra credit for attendance, and are looking for funding through Associated Students. The event will be free. Libao applied to be an Oxfam Change Leader after reading about the opportunity from a Sociology listserv email. Oxfam annually selects one Change Leader applicant from each applying university for a week-long training conference in Boston during the summer. Each change leader is later responsible for founding—or leading the current—Oxfam club at his or her university. “We want to be really hands-on,” said Libao of the club’s plans for the rest of the academic year. She added that they are searching for more community service opportunities, especially in regard to educating small children. Oxfam America is an arm of Oxfam international, a global organization working to eradicate poverty and various other social injustices, according to the group’s website. The U.S. wing works with over 90 countries by attacking the roots of the problems, aiming for long-term improvement rather than the band-aid like assistance that comes from the distribution of material things. Libao said that her work with Oxfam is fulfilling because it’s a self-agency mission. You can apply to be UCSB’s next Oxfam Change Leader by submitting an application on Oxfam’s website by April 1. Check the current club’s Facebook page (www.facebook.com/OxfamAmericaClubatUCSB) for the specific meeting location each week and for updates on new projects, and visit oxfamamerica.org for more information about the larger organization.